Hyundai i10 Running Costs, MPG, Economy, Reliability, Safety | What Car? 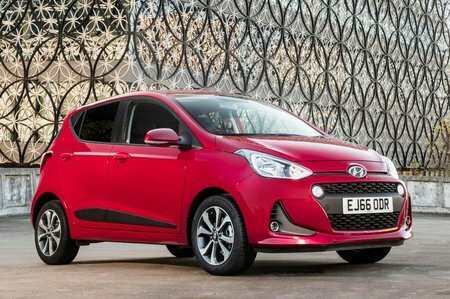 The Hyundai i10 is far from the cheapest city car to buy, but it’s still competitively priced, and Hyundai regularly offers low-interest finance deals and deposit contributions. The 1.0-litre has better claimed fuel economy than the 1.2, but the difference is fairly small in practice because the smaller engine needs working that bit harder. The 1.2 averaged a respectable 49.3mpg in our real-world True MPG test, although rivals including the VW Up and Suzuki Celerio posted even better results. There’s also a 1.0 SE Blue model that gets engine stop-start for even lower CO2 emissions, but it's only really worth considering if you're a company car driver. Insurance and servicing costs are among the lowest in the class; Hyundai offers a variety of cheap, fixed-price servicing schemes, the cost of which can also be consolidated into any finance plans. Entry-level S trim is very basic. You get electric front windows, central locking, a CD player and a USB socket but that's about your lot. SE trim is much more like it, adding air-conditioning as well as remote central locking, electric rear windows, driver’s seat-height adjustment, cruise control and electrically adjustable heated door mirrors. Meanwhile, Premium trim bring alloy wheels, a leather steering wheel, and LED daytime running lights, while the range-topping Premium SE adds a 7.0in touchscreen infotainment system, sat-nav, bigger alloys, an electric sunroof, heated front seats and even a heated steering wheel. It's not cheap, but it's our favourite trim. Only the Volkswagen Up proved more reliable in the supermini class than the Hyundai i10 in our latest reliability survey. Hyundai as a brand also fared well, finishing third out of 32 manufacturers tested for reliability, although it was rated as only average for customer satisfaction. The support package – a five-year warranty with roadside assistance and free annual vehicle checks – is extremely competitive by the standards of the city car class. All i10s come with six airbags, a tyre pressure-monitoring system and stability control as standard, which is a reasonably generous list for a city car. Go for the Premium model and you also get hill-start assist, which means you don’t have to use the handbrake to stop the car from rolling backwards when you set off on a steep incline. However, in its Euro NCAP crash test the i10 got a four-star rating, which is lower than the five stars achieved by some rivals. This is mainly because of marginal protection against whiplash for adult passengers sitting in the back seats, and chest protection for front passengers in a side pole-impact. It's also disappointing that automatic emergency braking isn't available on any version – even as an option. 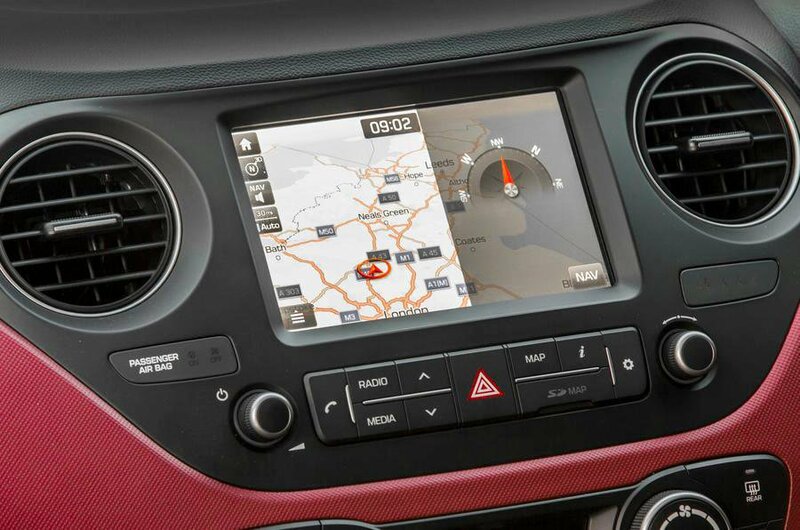 All models have an engine immobiliser, and all but the entry-level S get a perimeter alarm. 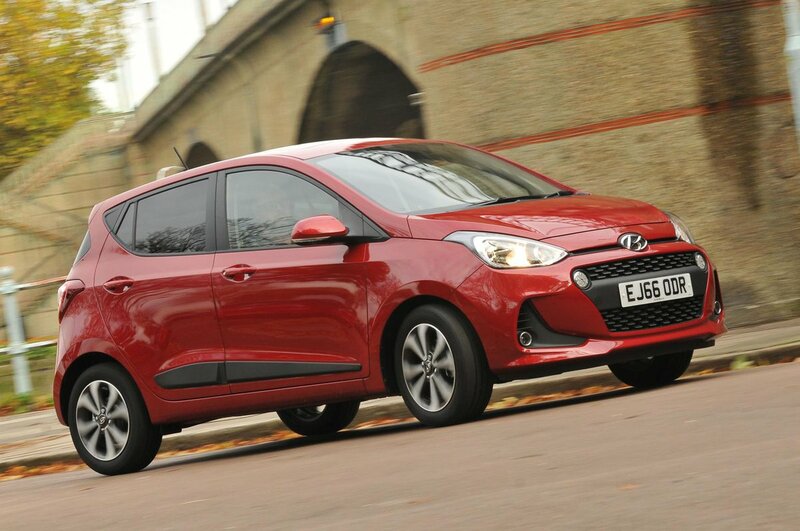 Even so, Thatcham gave the i10 a very poor rating for resisting break-ins.